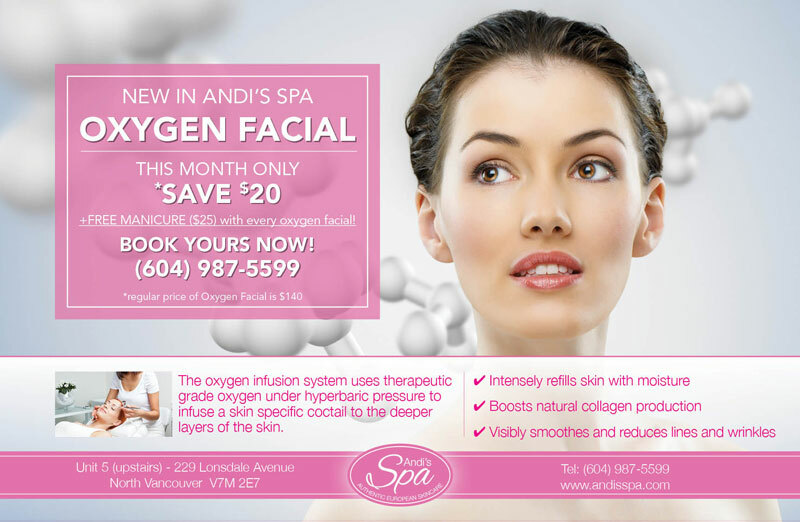 At Andi’s Spa in North Vancouver we are excited to offer you our brand new OXYGEN FACIAL TREATMENT ! Oxygen facials and treatments have emerged in the last few years as the newly recognized skin care essential. It is used by celebrities, dermatologist and high profile spas as the secret to silky smooth skin. Oxygen has incredible regenerative powers and for decades doctors have used it in the treatment of burns and wounds that simply would not heal otherwise. It is these two very important functions of oxygen that inspired skin care experts to incorporate oxygen into facials and body treatments around the world. WE ARE OXYGEN DEPRIVED: Your skin, the protective barrier between you and the environment, gets hit with pollution, the harmful effects of the sun and other skin damaging factors every day. Today, due to the Industrial Revolution and deforestation, the earth’s oxygen levels have dropped from 35% to as low as 17% in some cities. Damage will occur, and that damage will accumulate over time resulting in very stressed, premature aged skin. Wrinkles, loss of elasticity and firmness are the result. OXYGEN FACIALS PROVIDE A SOLUTION: Keeping all of these facts under consideration, it only makes sense that using pure oxygen in your facials would have real benefit for the health and beauty of your skin. Doing so will eliminate stressed looking skin from your life and replace it with visibly younger and more beautiful looking skin. The procedure involves spraying oxygen, 98% pure to be exact, that is infused with a serum that contains essential nutrients and antioxidants that naturally boost collagen and elastin production, repairing the skin at a cellular level. The results are visible immediately, leaving your skin with a silky hydration, boosting your skin’s elasticity and firmness and the reduction of lines and wrinkles as well. 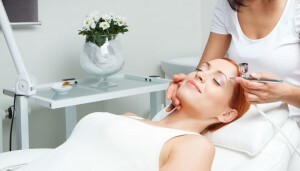 This entry was posted in Style and tagged Facial, North Vancouver, oxygenfacial, women.